Description: Download this marketing org chart template and edit it with your own employee information. It has a button to change the employee photo. You can also add/ delete employee with just button clicks. It's very convenient to use. 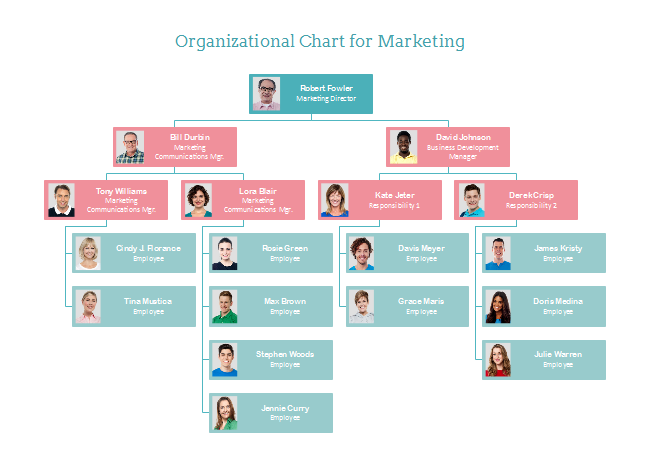 Design a marketing organizational chart with this template requires only a few minutes.